At the tender age of sixteen Fran started out as roadie to R&B band “The Movement”. This is where he began to learn what plugged in to what! 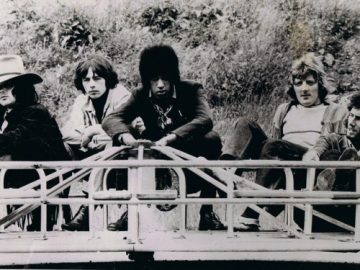 As a mature seventeen year old roadie, Fran toured with Orphanage, a rock band set up by his brother and Phil Lynott bfore Phil’s rise to world fame with Thin Lizzy. Fran travelled up and down the country, straight from school to the bandwagon. Fran makes The Major League as roadie, sound engineer, stage manager and production manager for Thin Lizzy. 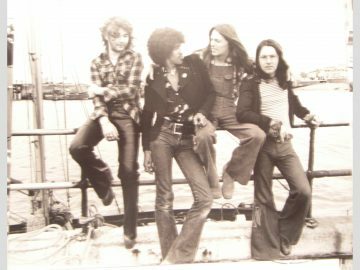 Lizzy became Ireland’s first internationally acclaimed rock band and launched Fran to the front line of the music business. 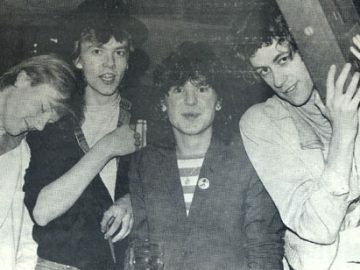 On the 23rd March Fran was upstairs in Ronnie Scotts for Thin Lizzy’s first London gig. A memorable night. 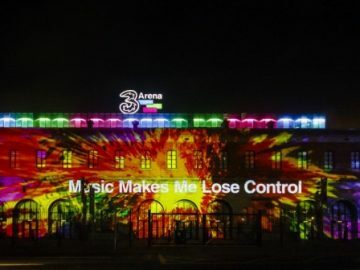 This is the year that Fran takes charge of sound and lighting systems in Dublin’s latest nightclub The Revolution, the venue where Clannad played their first Dublin dates. 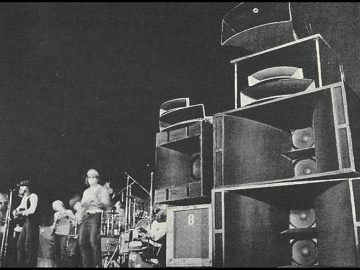 He purchased his first sound system to handle the contract at The Revolution. 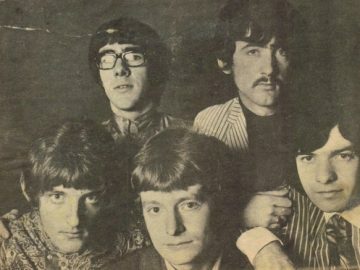 A small music store, The Band Centre, on Harcourt Road, which was previously owned by Thin Lizzy manager Brian Tuite, is purchased by Fran. 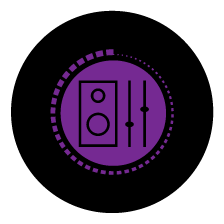 He develops the outlet as the place to be seen and arrange gigs in Dublin. Many of the international touring bands of the day would stop off at The Band Centre to top up on strings and things. 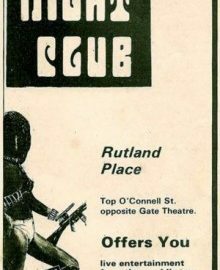 The Band Centre soon became the hub of the music scene, with clientele that included, among others, The Boomtown Rats and U2. 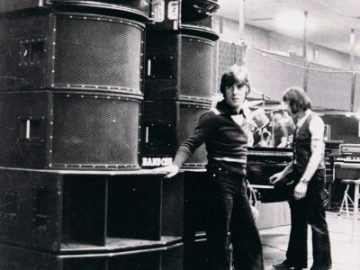 Heady days for Fran – he purchased his first JBL Concert PA and was the first Irish company to tour in the UK with it’s first gig in the Royall Albert Hall, London. Fran continued to supply his services to almost every international act of the 70s, including Cliff Richard, Bing Crosby, Roy Orbison, Leonard Cohen and BB King. 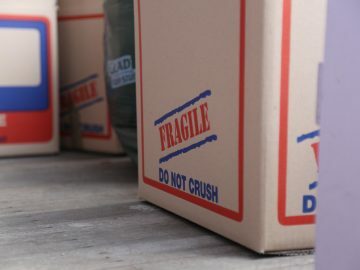 The company adds a further 5,000 sq. ft. warehouse to accommodate the constantly growing stock. PA is upgraded to the Martin System, larger Soundcraft desk, lighting with Par 64 and spots. 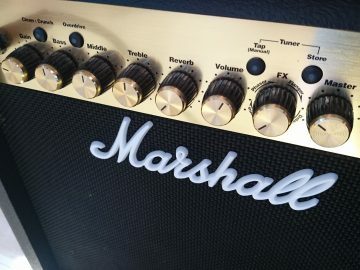 High end backline brands including Fender, Ampeg, Acoustic, Ludwig and Premier drums. Shows are getting bigger and bigger with acts like Leo Sayer, Ry Cooder, Canned Heat, Horslips, Chieftains and The Bothy Band. 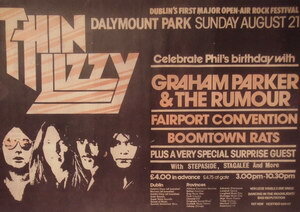 First of the outdoor concerts in Dalymount Park with Thin Lizzy, Boomtown Rats, Graham Parker. Opens Keystone Studios in Harcourt Street with Andrew Boland. 8 track to cater mostly for the Trad market, Bothy Band, Christy Moore, Paul Brady and more. 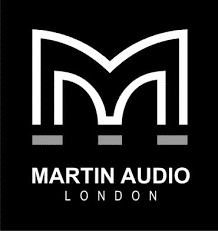 New opportunities for our Martin System – shipped to London to partner with another sound company. 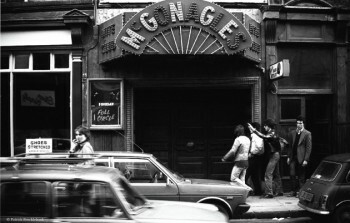 McGonagles Club, the top live music venue of its era, is taken over by Keystone Studios. 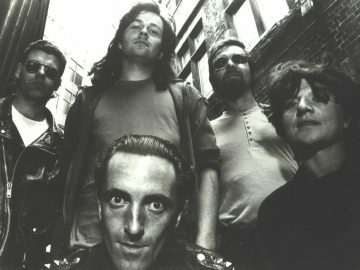 McGonagles showcased emerging Irish acts including U2, Virgin Prunes, The Blades, Radiators From Space, Raw Deal, The Lookalikes and endless others. 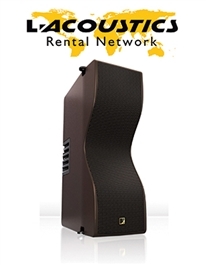 CAVS is formed to cater for the new corporate AV industry. Our inventory is extended and upgraded to include projectors, screens, TVs, 3 tube video projectors and more. CAVS opens a new club, The Source, which becomes a major Saturday night entertainment venue and once again showcased many of Ireland’s premier outfits, including Tower of Babel, Fireworks Factory, The Gorehounds, The Black Velvet Band and The Missing Link. 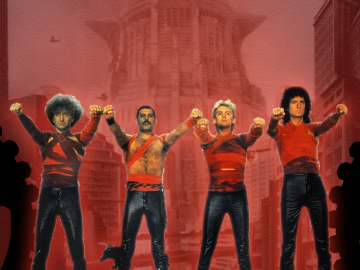 Music videos explode onto the entertainment scene. 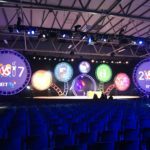 CAVS stays ahead of the curve with the very latest technology as it comes on stream, with video walls, Meyer sound, Midas desks and leading edge audiovisual systems. This era marks an important phase in CAVS’ growth with a bigger crew and road fleet. 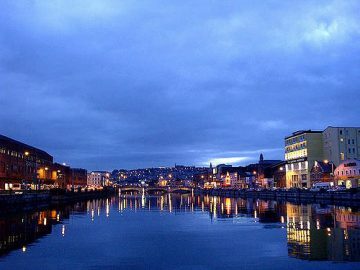 Having consolidated our leadership position in the entertainment and audiovisual sector, CAVS hits the deck running in Cork with a new office, increasing our reach in the south. Headed up by Mark Corless supported by a cracking team, CAVS new branch makes an immediate impact in the Cork region. 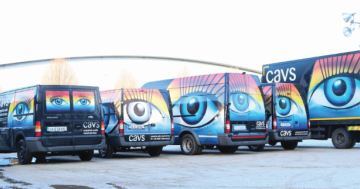 CAVS continues to expand, moving our Dublin office around the corner to a new 6,000 sq. ft. facility. We increase our international footprint with events and conferences in the USA, Canada, Mexico, and major European cities including London, Paris, Rome, Madrid, Barcelona, Warsaw, Budapest, Frankfurt, Prague and Athens. 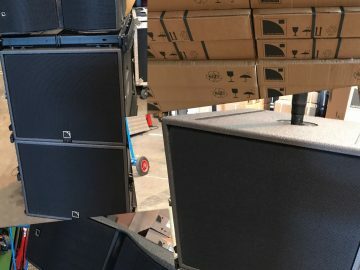 CAVS joins the L-Acoustics V-Dosc Network, with the acquisition of systems to add to our already vast L-Acoustic stock. 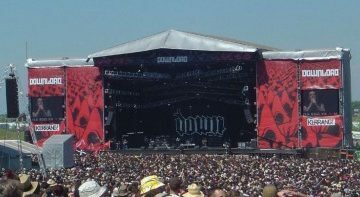 This system is the biggest on the market, and partnering with Litton Lane is used to supply acts for international touring acts in the O2 and for festivals such as Oxygen and Electric Picnic. The Big Jump – CAVS moves from our long-established site in Harcourt Street to our new 20,000 sq. ft. premises in Merrywell Business Park, Ballymount, allowing us even more opportunity to expand our operation. 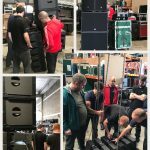 We increase our L-Acoustic inventory, and partner with SSE Audio Group in the UK where our system goes on tour and is used for major festivals including Download, T in the Park, Global Gathering, V Festival, Reading Festival. CAVS continue to expand, with new stock, vehicles and projects. 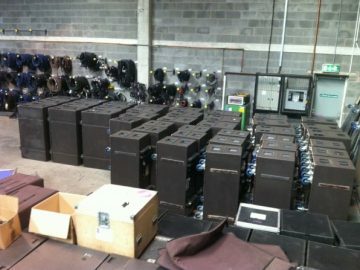 We invest in a major upgrade of our high-end visual stock, including the acquisition of 20K HD Christie projectors, 12K HD Barco projectors, an AV Stumpfl Wings media server, Blackmagic lightware and JVC cameras. Our investment is rewarded with some high-profile commissions. 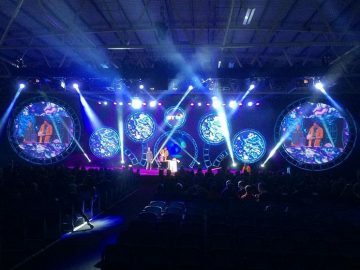 CAVS goes from strength to strength as our experience and expertise is regularly called on for major national events and conferences. 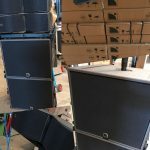 We have just received our brand new L’Acoustics Kiva II, we acquired 24 Kiva II Tops, 8 SB15m and 4 La8 AES amps.